The long nights of the coming winter season is the best time to stay at home and relax to good music. But not everyone can feel free to turn up the volume at home, as many take into consideration the disturbance it may cause to those around them and are often forced to give up on their listening enjoyment. Using headphones is one way to resolve this problem. But many find it hard to accept the unnatural sound produced, especially when listening to operas or instrumental solos. It’s important to note that the main melody and instruments are recorded with left, right and center localization, so with the internal sound localization in conventional headphones, it is impossible to recreate that spatial effect. With this in mind, we can’t help but want to go back to the natural sound stage produced by stereo speakers. However, it would be a pity to give up on headphones because of this problem. Asides from being able to adjust the volume to your preference without causing disturbance to others, headphones also possess several advantages in terms of audio performance. For instance, the clarity in musical detail and the reverberations of each note are fully expressed. 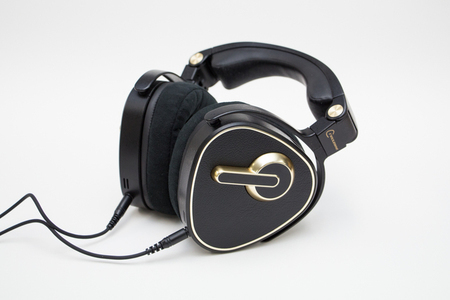 Simply put, headphones are very well suited to play back the intonations of classical music. 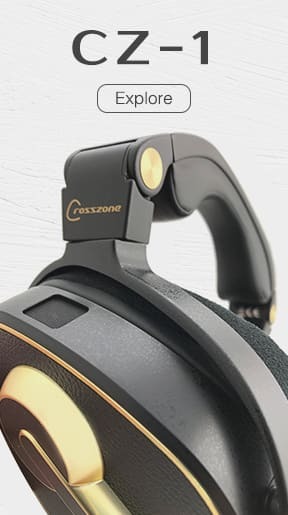 Let’s take a look at Crosszone’s CZ-1. 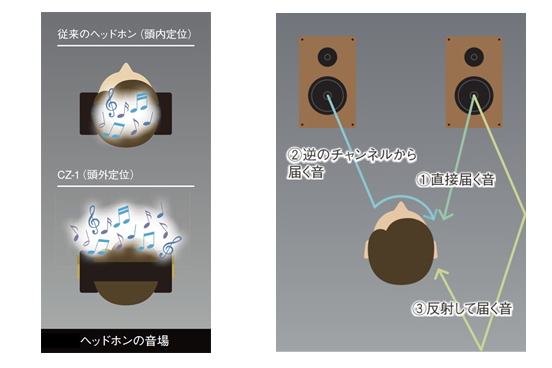 It is one that has achieved to resolve the internal sound localization problem and prioritizes a natural sound field that audiences strongly support. The first sound source I’m using with the CZ-1 is the blue ray disk. I’d like to see if the CZ-1 can bring out a full effect from this simple configuration with a projector and screen. The CZ-1 is connected to the UDP-205 and this system is used to enjoy music from the blue ray disk. Actually, the UDP-205 has a very high transmission quality. If it’s connected to the current sound system and played through headphones or attached to an amplifier, you can definitely elevate your listening experience. 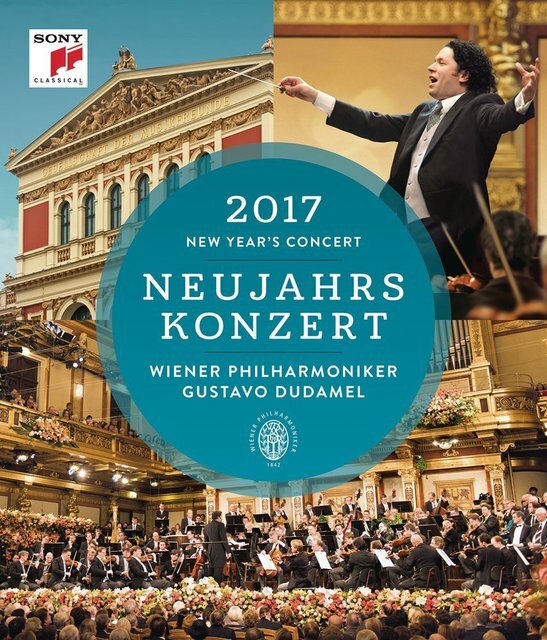 First played is Vienna Philharmonic’s New Year concert in 2017. The melodies of the trumpet and trombone are positioned diagonally forward and draws clear contrast to the positions of the high and low strings, as well as the wood winds, creating a tri-dimensional effect. In the fast-paced Polka, the rhythm of the bass and percussion instruments blend perfectly with the dynamic melodies played by the violin. I was very amazed by the rhythmic accuracy played by the music ensemble. As conventional headphones cannot generate a spatial sound, it is difficult to capture the distinct position of the instruments while playing back each sound in full. 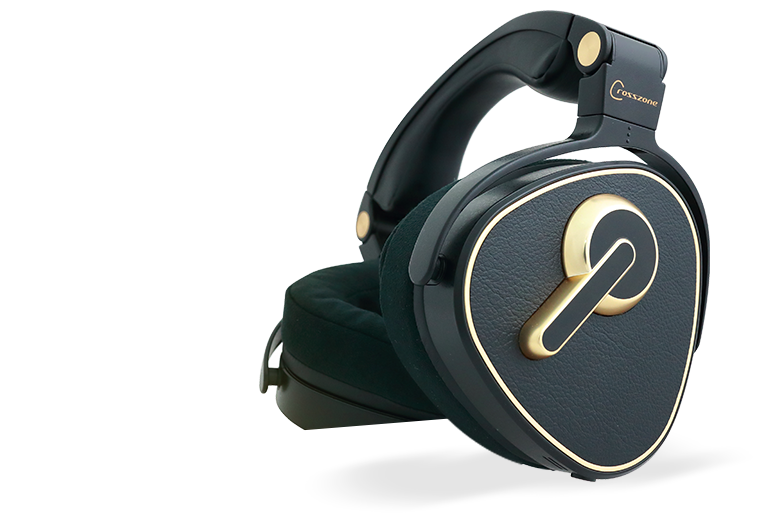 The CZ-1 however, differs from other headphones and delivers this spatial effect. The CZ-1 vividly portrays the acoustic space and the reflected sounds from the high room surfaces of the concert hall. In the band performance, the detail and overall balance is accurately shown, each sound perfectly integrated as performed on stage. With these headphones, you can fully immerse yourself in the music. Next, I listened to Faust, Boito’s “Mefistofele”. Boito started as a very active screen writer. 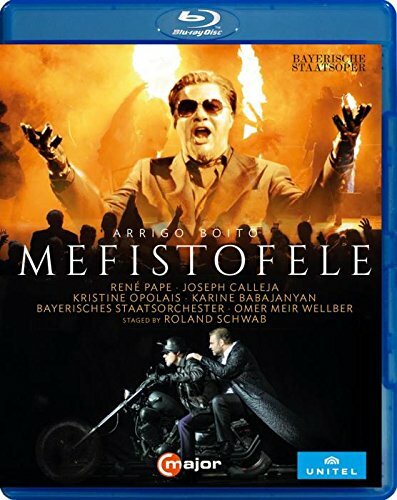 Although music composition is not his main field of expertise, the “Mefistofele” is a true masterpiece. From the bold echoes of the band instrument, we can sense the unique composition of brass and woodwind instruments. A rich and full entrance, further enhanced with the sound system, can only be described as an ingenious composition. As the stage arts compliment the scale and splendor of the music, we need to make sure that both the visual and audio effects are accurately reflected through our devices. I used the Toshiba REGZA 55X910 OLED TV. Its 55-inch screen has a clearer contrast compared to that of the LCD screen. 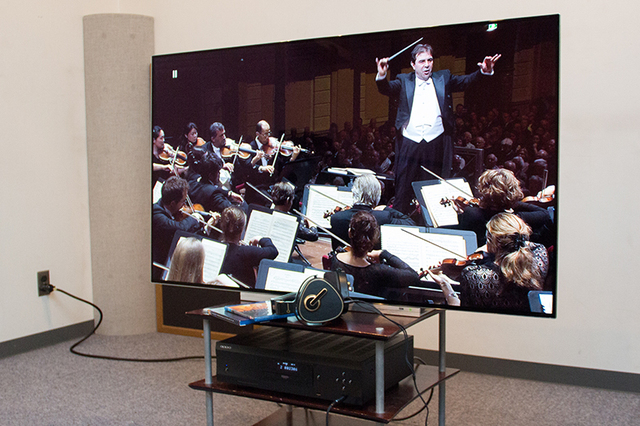 Many readers should have a big screen TV above 60-inch, and if you are pairing the CZ-1 with it, the 3.5m cable will come in handy. What do we need in order to attain the maximum performance of both sound and image? Simply put, we need to create an immersive experience. With the conventional closed back headphones, sound is located close to the ear; this is especially evident in solos from tenors like René Pape and Joseph Calleja. Despite how the CZ-1 has a sound system arranged close to the ear, the sound source is being shifted forward, creating an external sound image and lessens the discomfort when listening. 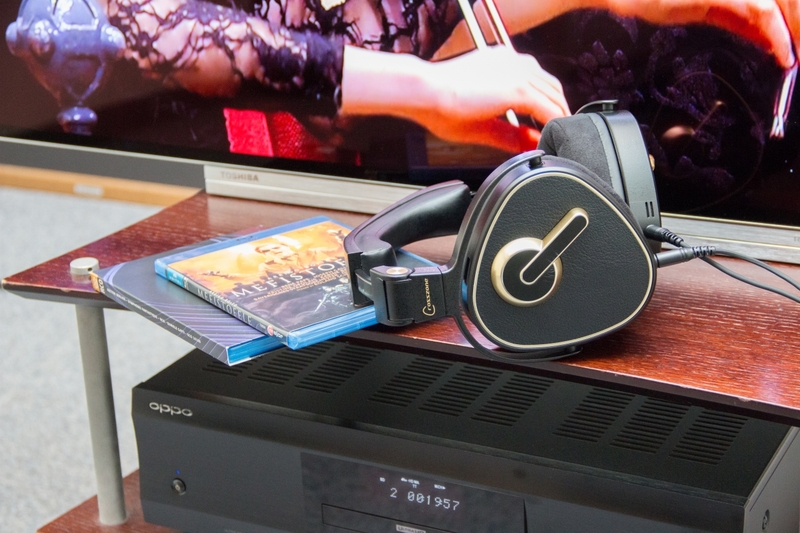 While enjoying operas, it is important to have the solo stand out naturally from the background music, and the CZ-1 achieves that with perfection. In the scene where an ensemble takes place at the bar, the positions and relative distance of the singers are easily distinguished and the contrast of the vivid stage effects and stereo sound are very appealing as well. 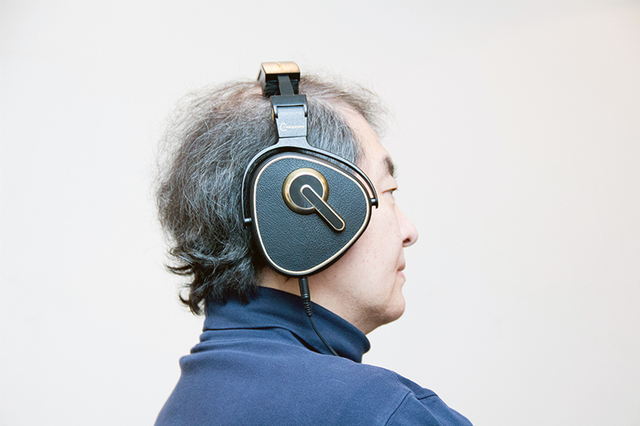 The CZ-1 uses a self-developed technology that uniquely positions its drivers to create a spatial sound field. 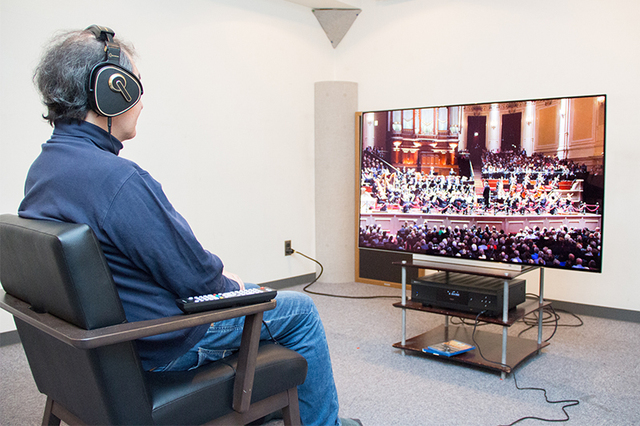 With this technology can the CZ-1 fully bring out the sound effects of a large scale Opera performance and allows the listener to feel an endless spatial effect. This is especially important when playing a wide range of music sources. 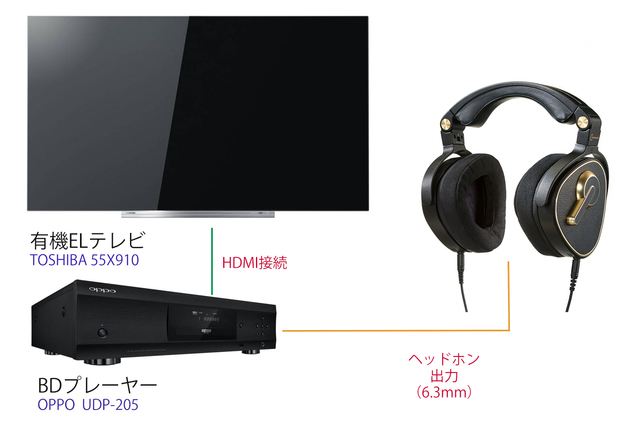 As introduced, you can create a personal home theater by simply pairing a high resolution TV and DVD player with the CZ-1! The key to a stereo is in its ability to recreate the atmosphere and musical characteristics in detail. The CZ-1’s performance and its spatial and natural sound add great value to the recreation of the performance. Its intricate design draws great attention, but the expressiveness that’s generated from the CZ-1 makes it irreplaceable to existing headphones.